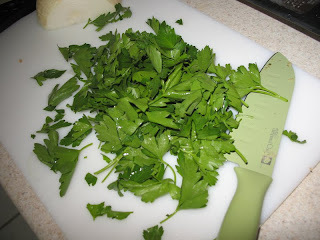 Here's another recipe I've borrowed from another food blog. 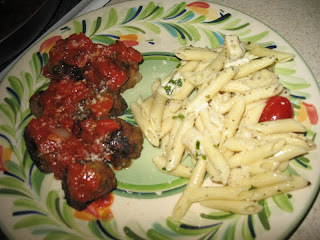 This one is from my friend Meg at The Red Spoon who recently posted a recipe for Spaghetti and Meatballs. 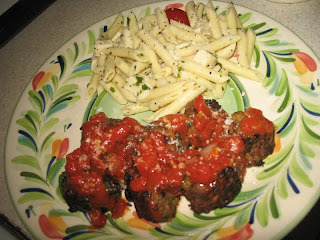 The meatballs looked so good I thought maybe they could be worthy to be the main dish instead of just an accessory. I tried it and I was right. These meatballs are amazingly savory and juicy. Though its nice to pair them with something like a sauce or pasta, they are awesome all by themselves. Superking even made them into a meatball sandwich (big surprise, his lust for turning everything into a sandwich will never end). I did make a sauce to drizzle on top but it was way more simple with lots of short-cuts compared to hers at the Red Spoon. But it worked all the same. In a large saute pan heat 2 tablespoons olive oil over medium heat. 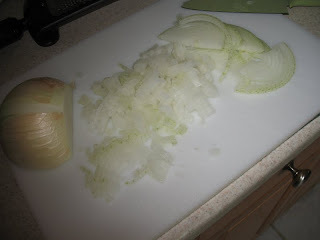 Add the onions and and season with salt and crushed red. 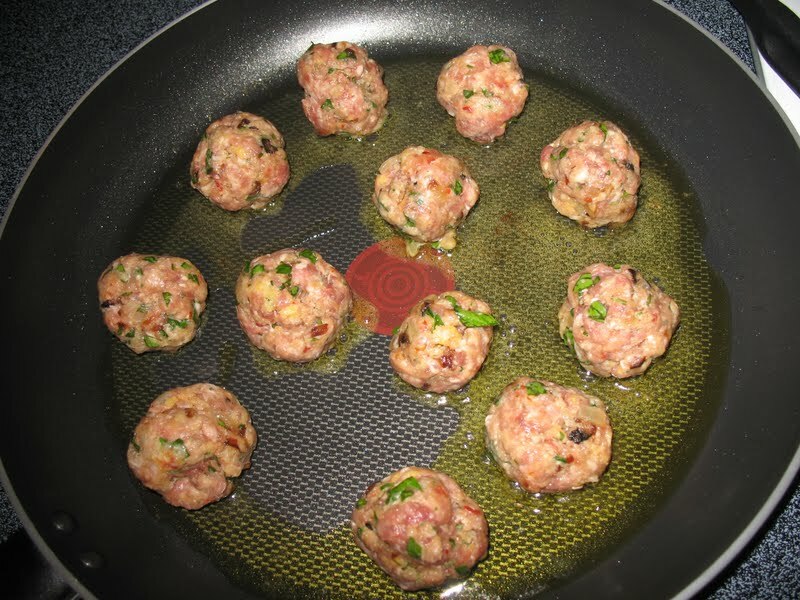 Cook for about 5 to 7 minutes or until soft and translucent. Add the garlic and saute for another 1 to 2 minutes. Turn off heat and allow to cool. 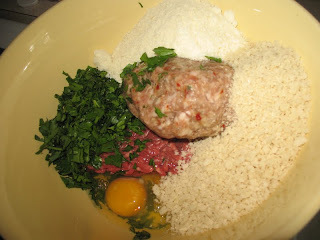 In a large bowl combine the meats, eggs, parmesan, parsley and bread crumbs. Mix thoroughly, using your hands works best. Add the onion mixture and season generously with salt and squish some more. Add the water (seems like a lot of water, especially when the meat mixture looks and feels pretty moist. Add it all, trust me.) and do 1 final really good squish. The mixture should be quite wet. 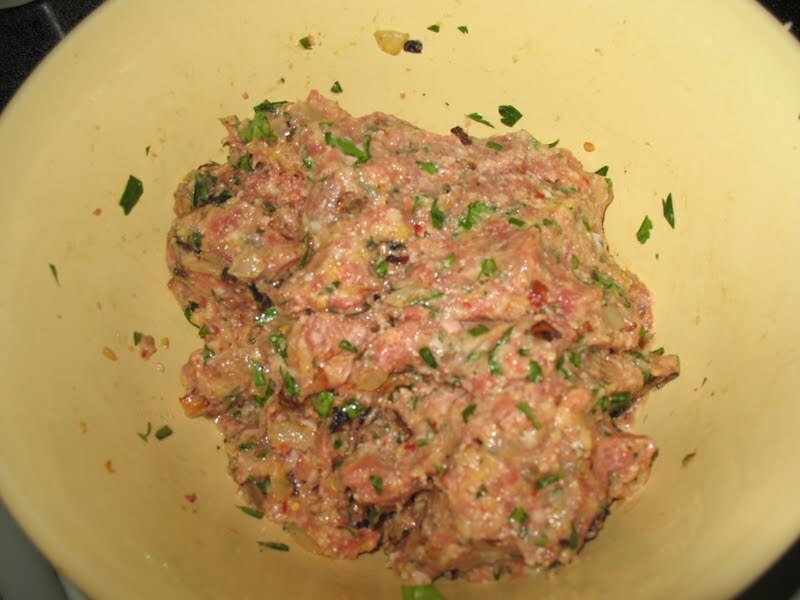 Test the seasoning of the mix by making a mini hamburger size patty and cooking it. Add additional salt/crushed red if needed. 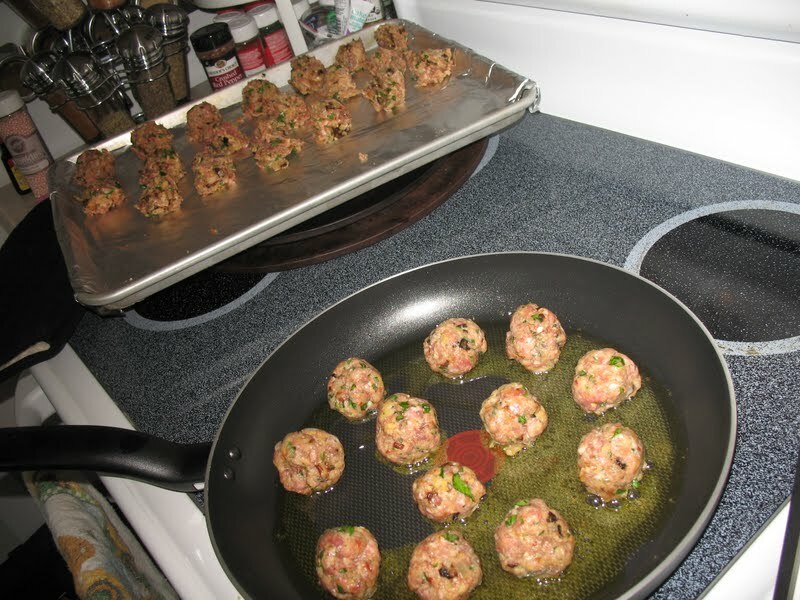 Shape the meat into golf ball sized rounds. Coat a large saute pan with olive oil and bring to a medium heat. Brown the meatballs on all sides. 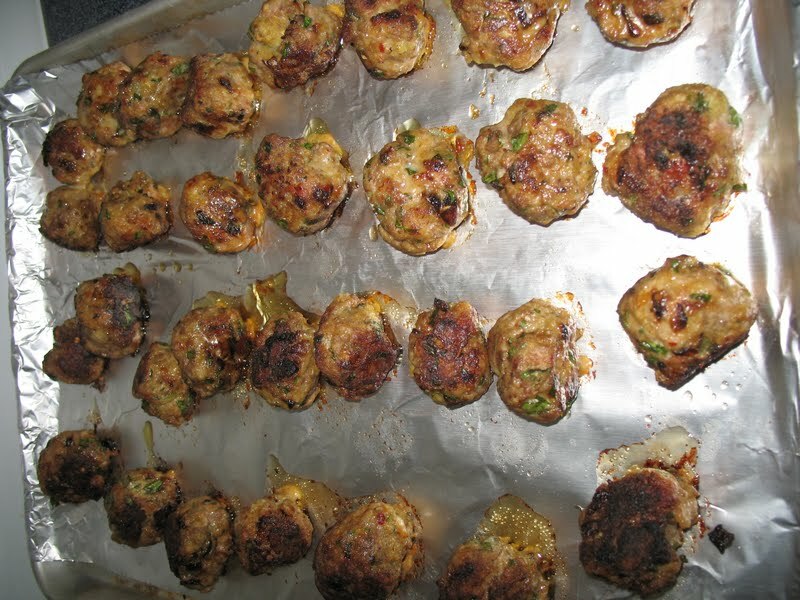 Place them on a cookie sheet and bake them in the preheated oven for about 15 minutes or until the meatballs are cooked all the way through. Add them to your big pot of tomato sauce. If not using right away, they can be frozen for later use. Heat olive oil in a large saute pan on medium. Add diced onion and garlic. Cook several minutes until onions become soft. Add canned tomatoes and Italian seasonings. Let simmer on low until heated through. Drizzle on top of meatballs and/or pasta. Don't forget to add a little dusting of freshly grated parmesan cheese! Uno, Dos, Tres...Tres Leches Cake!!! Ruby Woo and I are friends!